The first question everyone wants to ask is, "When can I change my body jewelry?" 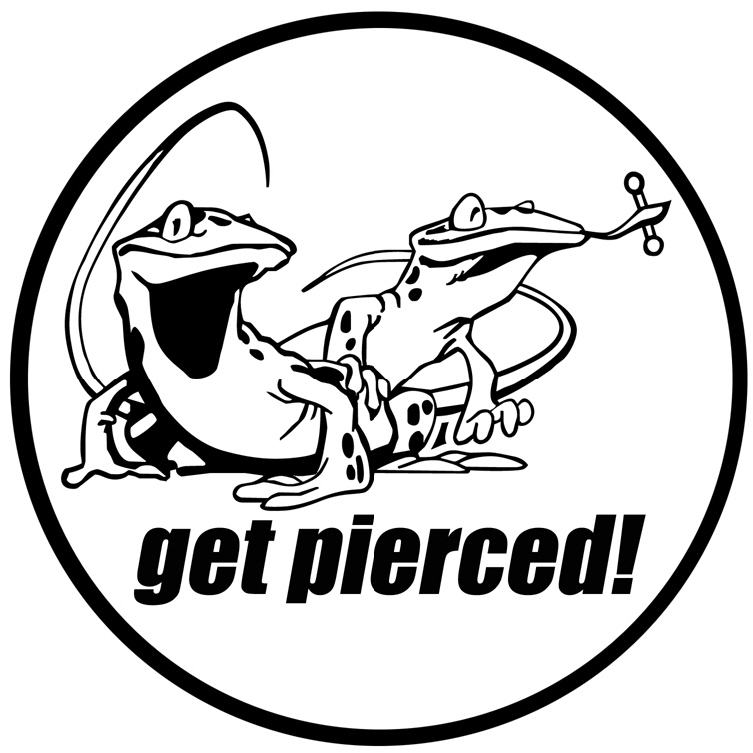 It's really important to wait until the piercing is completely healed before changing jewelry. It may look and feel healed on the outside, but the inside is still healing, so please, be patient - it's worth the wait! We love this solution so much, we give a bottle of it to everyone we pierce! A great solution to keep on hand whenever a cleaning is needed. Natural plant ingredients and vitamins. An awesome solution for irritated piercings! 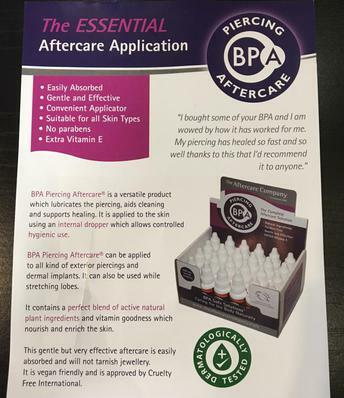 Another option for caring for your piercings.